Lennie James, an actor best known for roles in Line of Duty and The Walking Dead, is also the creator of the latest show in which he stars, Sky Atlantic original drama Save Me. In the six-part thriller, he plays Nelly Rowe, a charmer and a chancer living on a south London council estate. When Nelly is accused of kidnapping the estranged daughter he hasn’t seen for 10 years, he sets out to find her, saving lives, making enemies and risking his life along the way. 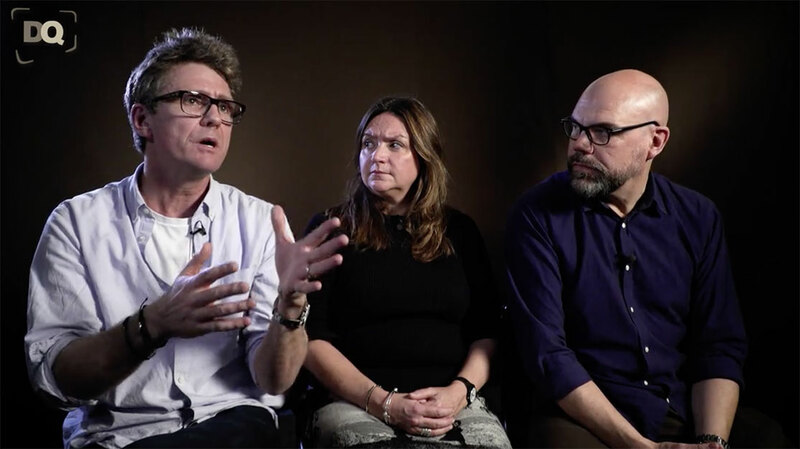 In this DQTV interview, series director Nick Murphy and executive producers Jessica Sykes and Simon Heath reveal how James was wooed by Sky to write the series and how the production was slowly built around his atmospheric scripts. Murphy also talks about how the key to the show was that everyone involved knew exactly what they were making – something he says is both rare and important. Save Me is produced by World Productions for Sky Atlantic and distributed by Sky Vision.